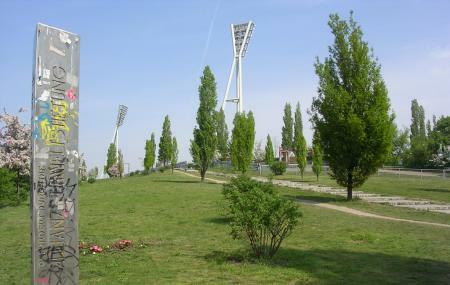 Mauerpark is famous for various reasons. There are a lot of events organized here, it is also a place to just go relax and the flea market at Mauerpark is one of the best in the whole of Germany. It is a great park to just interact with nature while interacting with yourself and connecting with locals and tourists alike. You will come across various people with a lot of stories to tell in Mauerpark. All in all, it is a great place to have a quiet picnic, shop a little at times and most importantly connect with people. People normally club together Sandemans New Europe Gmbh and Classic Remise Berlin while planning their visit to Mauerpark. Best place to go in Berlin in the summer/late spring if you like a laid-back Sunday around lots of people (or if you're a tourist). There's something for everyone - from flea markets to food stalls to buskers and dancing to even an open-air amphitheatre that often features a free-for-all karaoke! Very Nice flee market to visit for tourists. You can even buy wine and beer here....in a real glass! You must go here if you visit Berlin. Lots of cool stands and different food trucks. A nice park, it is better to visit in summer as it attracts young crowd and has public shows. The park is famous for it's Sunday flea market. Nowadays the market is not that flea authentic but is still nice and has unique vibe and beautiful stuff. Sunny all day. Rather small but this makes it feel close with everyone. Awesome market on Sundays: When the weather is bad, the ground at the market is pretty wet and slippery though. Don’t go here by car, there’s no real parking around without waiting/searching a lot. Great for taking kids. Great food area. Nice to chill out alone or in groups all week.